Future Students interested in UNSW? International Assault 2 - This Friday! World Series Wrestling together with the Australian Wrestling Federation (AWF) invades the University of New South Wales Roundhouse on Fri June 1st to present “International Assault 2 Pro-Wrestling - War of the Worlds!”. 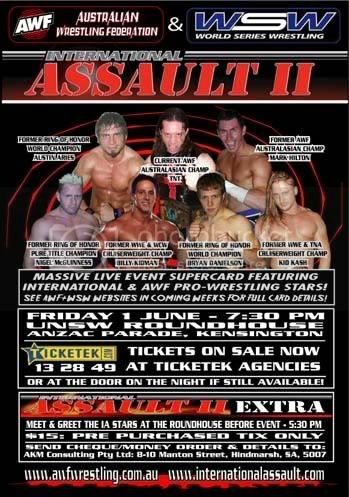 A plethora of pro-wrestling’s top stars will be in Sydney to take part in this 2 hour plus 7 bout super card that will feature international wrestling stars combined with Australia’s best in a show that is set to be a huge night for wrestling.